(APN) GORDON, Georgia — In some rural south Georgia towns, Blacks are winning elections in rural south Georgia towns, but the “old guard” is not ready to give up their power or their secrets. As previously reported by Atlanta Progressive News, in Quitman, Georgia, Gov. Deal removed several Black elected officials from office due to alleged voter fraud, although none of the accused have been found guilty of voter fraud. Now, APN learned that the powers that be have turned to legal maneuvering in Gordon, Georgia, in an apparent attempt to sabotage the new Mayor, only weeks after she was elected. 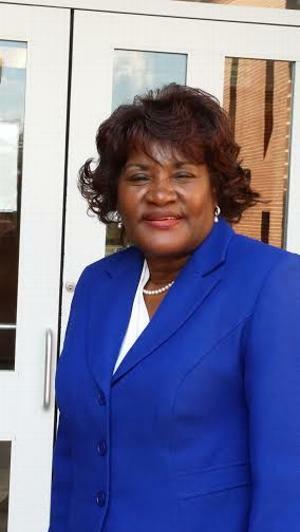 In the City of Gordon, Georgia, Mary Ann Whipple-Lue is the first Black woman elected by the majority of people and sworn in as mayor on January 06, 2014. Barbara Towles and Doretha Whipple, who are also Black, were also elected to the City Council, thus changing the demographics of the council from majority-White to majority-Black in Gordon. Gordon is in Wilkinson County with a population of 2,440, including 55.04 percent African American and 44.14 percent Caucasian according to a 2013 census. During Mayor Whipple-Lue’s first month in office, she ordered a forensic audit of the City. She wanted to make sure the City’s finances were in proper order. She did not want to get blamed for what may have happened in prior administrations, she told APN. William Basket, a forensic auditor, was hired and given a 10,000 dollar retainer. Baskett started work on the audit but said he did not receive cooperation from Joseph Boone, the City Attorney; nor from Towana Brown, the City Clerk, who did not want him to have any information. In a deposition, he stated that it took the Assistant Attorney General to persuade them to release information to him that was downloaded on a stick drive. Controversy began to swirl around the City of Gordon as the forensic audit found questionable transfers of money. But then, the Mayor’s attempt to audit the City’s finances was met with resistance and refusal to pay Baskett, so the audit was curtailed. In a July 2014 deposition, Mr. Baskett testified that numerous withdrawals from the Georgia One Fund was transferred directly into the general fund. It was in 50,000 to 75,000 thousand dollar increments, six or seven times, and was not supposed to happen that way, according to Baskett’s deposition. Where the money went is yet to be determined because the audit was not completed. Brown, besides being the City Clerk, is also the Municipal Court Clerk, Finance Officer and Personnel Director in Gordon. She writes and signs all the checks that pays the bills for the city. During a Council Meeting, veteran Councilman Terry Eady said the Georgia One Fund only had 5,300 dollars, and he wanted to close that account, according to a video of the meeting, filmed by George Boston Rhynes with the Ghetto Free Press. Councilman Terry Reese, Finance Chair on the City Council, said he did not authorize transfers, except for one, which was 10,000 dollars to pay the auditor. He continued to explain that he told the Secretary of State about huge amounts of money being transferred from that fund. He called it suspicious and disturbing that hundreds of thousands of dollars were transferred out of that account. Reese wanted the Georgia One Fund kept open for an audit investigation. Reese said he was ask to sign checks where everything was blocked except for the space where one is to sign the check, according to the video. Reese was asking probing questions about what happened to the money and why the City was near bankruptcy before his death in October 2014. His last request was to complete the audit and find out where the money went. Only three weeks into her term, Mayor Whipple-Lue was hit with two Temporary Restraining Orders and four Equal Employment Opportunity Commission (EEOC) complaints filed against her for race discrimination. The rumor around town was that the new Mayor was going to fire all the Whites and hire all Blacks. The Mayor accused City Attorney Boone and Clerk Brown of refusing to cooperate with her administration and impeding her ability to work for the citizens of Gordon. Like anyone new on a job mistakes are made but instead of helping her, some veteran city employees and council members immediately focused their energy on filing hostile takeover legal maneuvers to remove her and undo the election. By March 13, 2014, two long-term council members, Terry Eady and Freddie Densley, along with five Gordon citizens, formed the Concerned Citizens of Gordon, and filed a lawsuit to remove Mayor Whipple-Lue from office, alleging violations of Georgia’s Open Meetings Act. “They want me to become frustrated and give up and quit,” Mayor Whipple-Lue told APN. “This has been a small town of corruption run by a few people for many years… Money has disappeared and we are trying to track it down and that is why we are trying to get the audit done,” Catherine Wells, a citizen of Gordon, told APN. At another city council meeting things got so rowdy that police had to remove several people when a fight broke out. The Mayor adjourned the meeting, but then Councilman Reese said that Bill Baskett, the auditor, had come from Atlanta to make a presentation, so the meeting was put back into session a few minutes later. Joseph Boone, Gordon’s attorney, said that constituted a violation of the Open Meeting Law which became the basis another contempt motion against the Mayor. Towana Brown has filed at least two complaints against the Mayor, including an EEOC complaint and a personal threat complaint. “It seems there is a calculated system in Gordon to keep the people ignorant and focused on the Mayor,” Rhynes, who has been taking video recordings of the ongoing meetings in Gordon, said. The Mayor’s legal obstacles continued at a May 21, 2014 Council Meeting, when a vote was taken to terminate Boone as the city attorney. Three council members voted to dismiss Boone; two voted to keep Boone; and one abstained. A fourth vote came from the Mayor to dismiss Boone. However, the Mayor is not supposed to vote unless the Council vote is a tie. This prompted yet another contempt motion of wrongful vote by the Mayor. The City Attorney does not have a contract with the City of Gordon, and serves at the pleasure of the City Council. “I just plain don’t trust Boone’s services,” Councilman Reese said in the Wilkinson Post on May 29, 2014. Boone resigned and was paid 20,000 dollars in outstanding invoices. The Council allowed Mayor Whipple-Lue to name an interim city attorney, Ronnie Jones. Later Boone claimed he did not resign. On June 03, 2014, Mayor Whipple-Lue was suspended from her mayoral duties by Wilkinson County Superior Court Judge Judge Robert Reeves, because of various alleged violations and complaints of contempt filed against her by the Concerned Citizens for Gordon. During the Mayor’s suspension, Councilman Terry Eady became the Mayor Pro-Tem. On August 05, 2014, Judge Reeves reinstated Mayor Whipple-Lue, but with lots of restrictions that diminish her authority and ability to govern. In yet another contempt hearing against Mayor Whipple-Lue in October 2014, Judge Reeves ruled that Joe Boone was still the City Attorney and William Baskett was not the the auditor for the City of Gordon. “The criminal contempt against the Mayor was not only vicious but frivolous… It was just another in a series of attempts, as is this entire ligation, to redo the election, which took place and elected this woman as Mayor of the City of Gordon,” Wayne Kendall, Mayor Whipple-Lue’s attorney, said in a press conference outside the Wilkinson Court House. A jury trial is scheduled for December 15, 2014, on the lawsuit to remove Mayor Whipple-Lue from office.